Because Jesus called him, Matthew transformed from tax collector to apostle and evangelist within a few hours. St. Matthew also told stories about his experience with Jesus that became the Gospel According to Matthew. Tradition holds that he died a martyr, and his feast day is September 21. I believe that Matthew should be the patron saint of transformation because he changed so suddenly and completely from tax collector to apostle! Biblical-era tax collectors had a terrible reputation. In those days, Rome conquered and occupied other countries and cultures. They provided some services, like roads and aqueducts, but they ruled strictly and demanded payment in the form of taxes. Tax collectors were usually members of the communities being occupied and they were expected to collect extra taxes for their own wages. Their fellow countrymen deeply despised them because they were siding with the enemy, and everyone knew that they collected far more than they turned over to the Romans. So here’s Matthew, by the shore of Lake of Gennésaret, sitting at a table in a tax booth collecting taxes, customs for trade items, and tolls from people arriving by boat. Now, we don’t know what Matthew was thinking as he counted his money. We don’t know how he felt about his own life or what he already knew of Jesus of Nazareth. But we can surmise that the first thing he did was look up. He looked up, listened to Jesus, and followed Him with absolutely no regard to what he was leaving behind on that table. 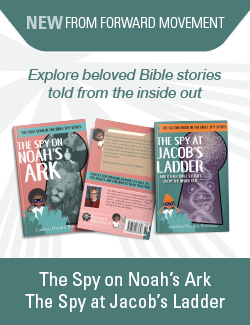 In fact, Matthew was so completely transformed by Jesus’s call that he immediately invited his friends to dinner so they could meet Jesus for themselves! Raise your hand if you’re envious of Matthew’s clear call into the Lord’s service. Me! Sometimes we are so focused on our distractions that we forget how simple it is to hear that call. Stir in eggs, ricotta cheese, and vanilla. Mix gently with spoon until blended into a sticky batter. Heat oil in a deep-fryer to 375 degrees F. Or use a large sauce pot over medium heat. The oil should measure about two inches in depth. 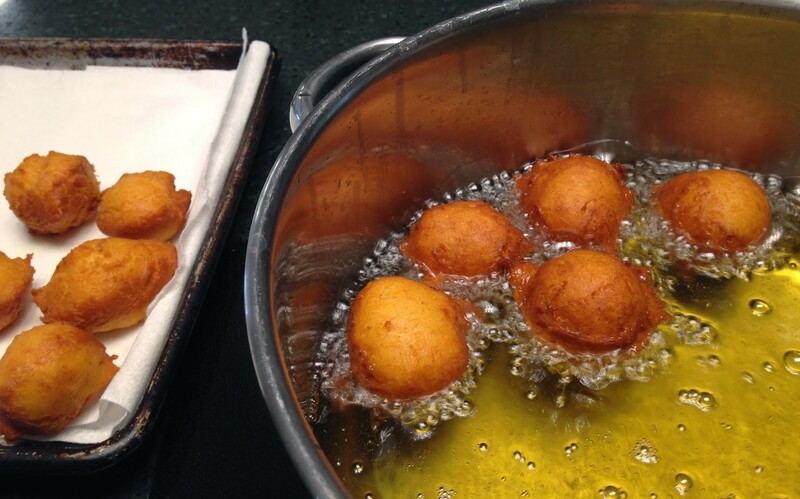 If you do not have a deep-fry thermometer, roll up a small piece of bread and drop in hot oil to test the temperature. 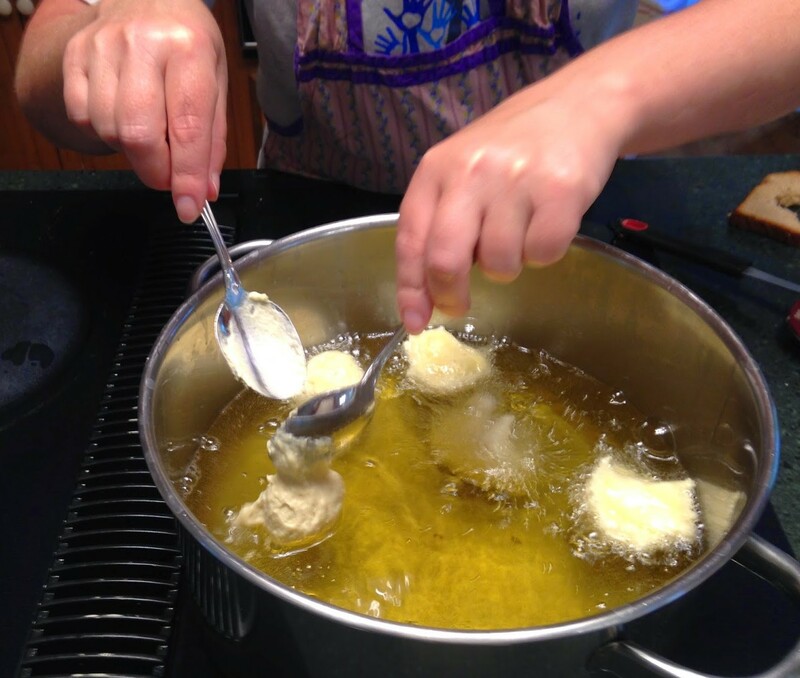 When bread ball attracts lots of bubbles, the oil is ready. Fry until golden brown, about four or five minutes. Remove with a slotted spoon and place on a tray with two layers of paper towels to drain. Whisk honey, water, and cinnamon in medium pot over medium-high heat until glaze comes to a boil. Remove pan from heat. 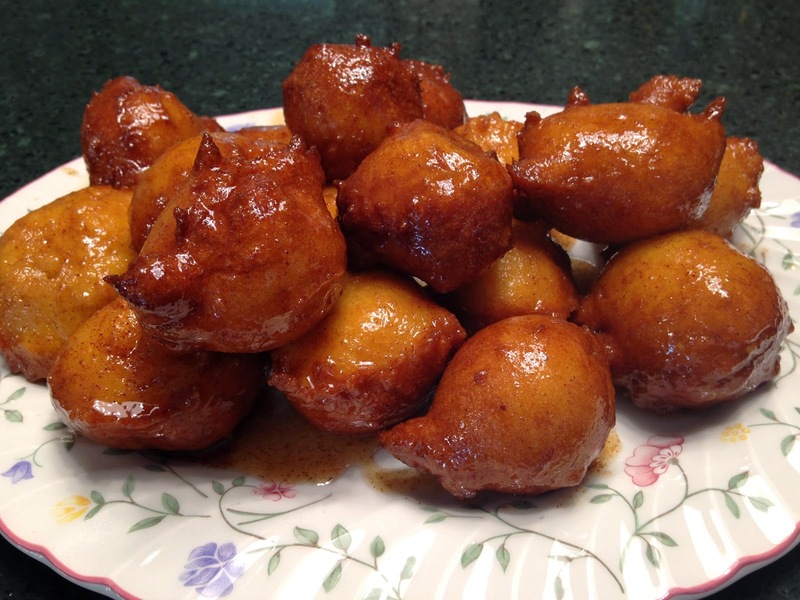 Dip zeppole into honey glaze with a slotted spoon and pile onto a platter. How do you celebrate the feast of St. Matthew?